Hardware and bead studding are quality stainless steel. Leather tugs measure ¾". 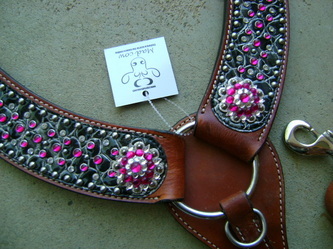 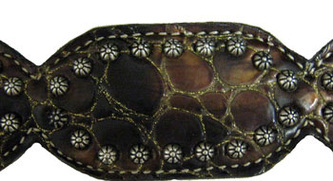 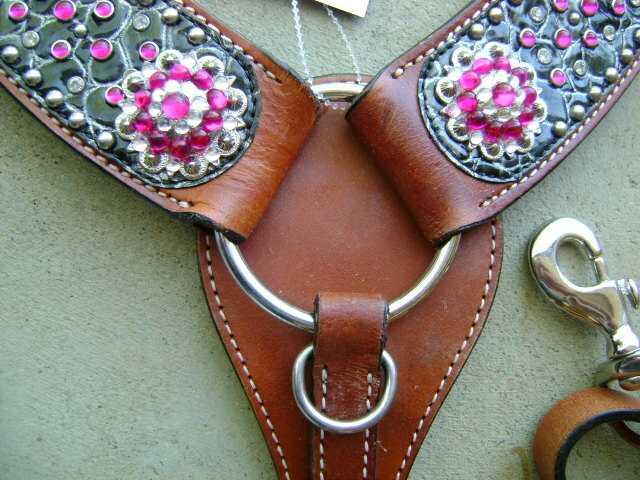 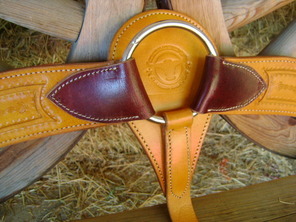 Crafted of soft dark oil leather highlighted with engraved silver conchos. 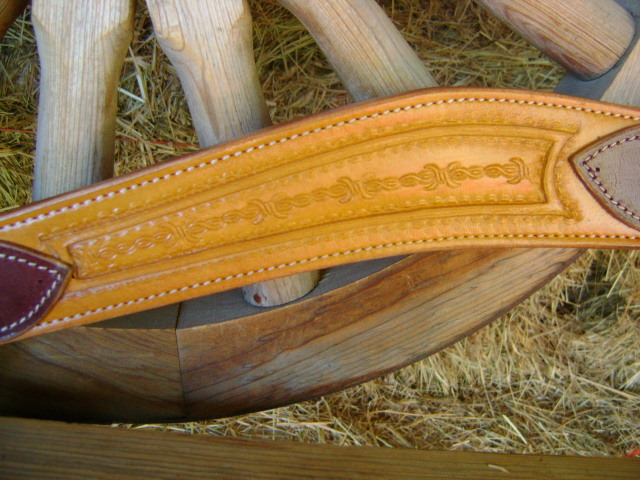 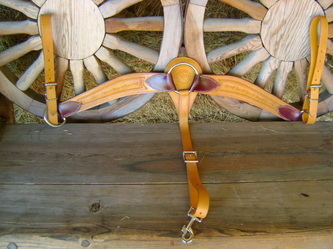 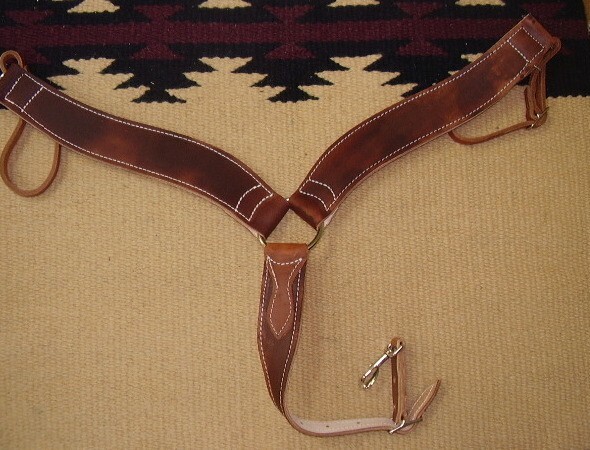 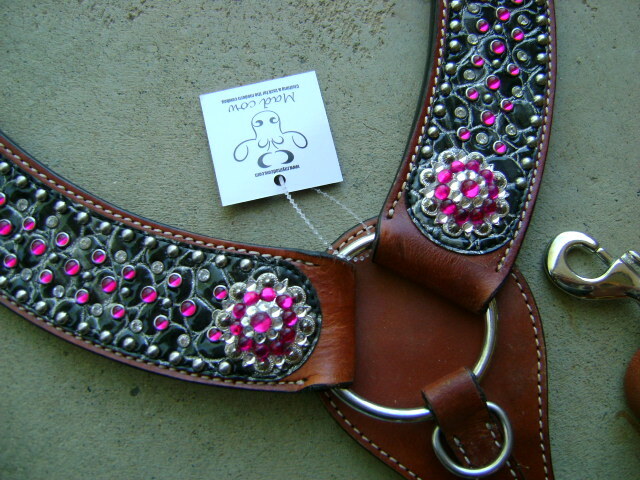 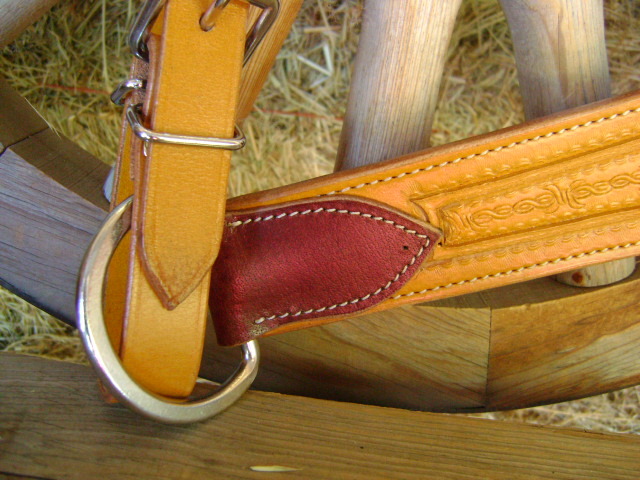 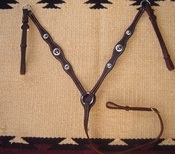 This beautiful breast collar features premium leather and perfect for show or trail. High Grade Alligator Embossed Overlay "The same used for Ariat Boots"
Absolutely Stunning. 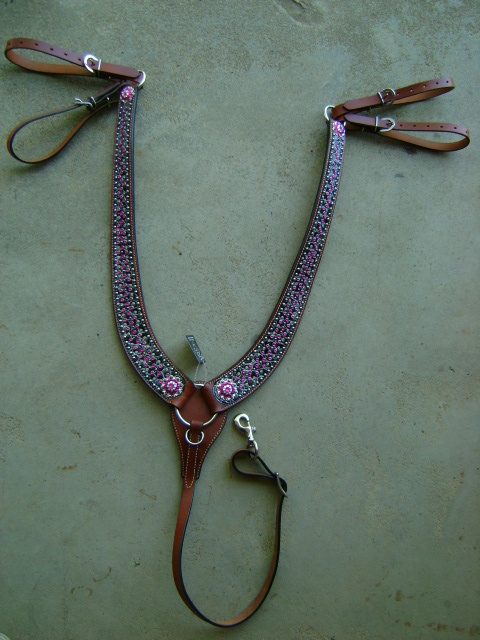 The most intricate crystal, rhinestone, rosettes, and silver studded Breast Collar I have ever seen. Amazing!! 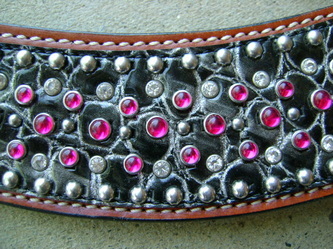 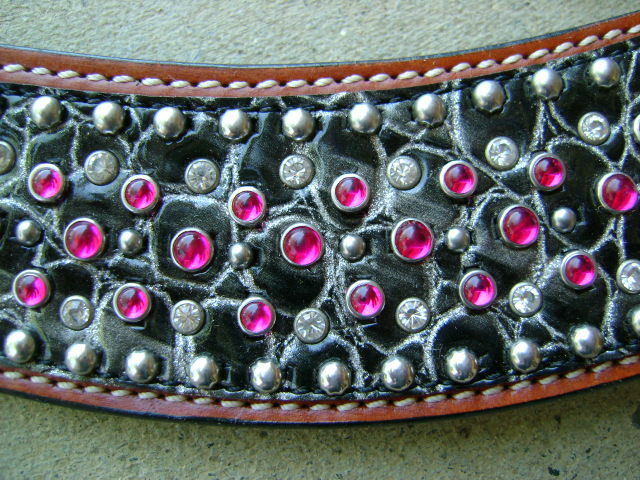 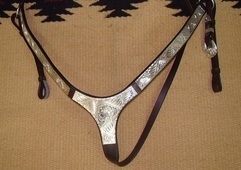 Hand engraved silver trim mounted on fine bridle leather.